iPod Touch Repairs - Most Trusted IPhone Repair Specialist. Iphone 3GS/4/4S/5/5c/5s, IPAD 2/3/4, Mini, Air, IPod Touch 4. Nobody can fix it? Bring It On. Recently because of over flooded Information of 'How To Repair iPod Touch', many iPod Touch users tried to fix it by themselves. Well, Apple iPod Touch is very tiny and complexed device ever before. Unless You or Your Kids want to build a career as 'iPod Touch Repairer', Please don't take any risk. The worst case is you'll LOSE All your favorite songs and video. Here is why not to take any risk of iPod Touch Repair. As a iPod Touch Repairing point of view, You or Your Kids are a beginner, very very beginner. Which means it takes time to learn 'How to Repair a iPod Touch', furthermore High failure rate of iPod Touch repairs ( over 98% due to lack of skill and poor/cheap quality of iPod Touch parts ). 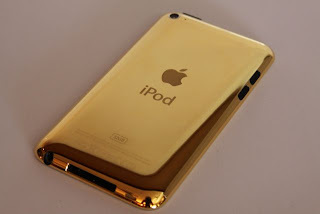 iPod Touch Repair Sydney Specialists are repairing iPod Touch Everyday. iPod Touch Repair Sydney Specialists are very serious of iPod Touch Repair as Business not like a private repairer on Gumtree or Open market. iPod Touch Repair Sydney Specialists are running this as 'a Local Business' so You can visit us anytime. iPod Touch Repair Sydney Specialists are a member of Apple Repair Specialists Alliance ( We do research/get trained/help lots of iPod Touch users). The Best Testimonial Video - vincent - Thanks a lot. Click here to watch more Testimonials from Happy Customers. This is the symbol of iPod Repair Specialists Alliance. Most Trusted iPod Touch Repairs Services. Most Popular Search Keywords : Tag Cloud.